Debenhams Ireland Vouchers, Discount offers and Free Gifts in April 2019. Redeem a Debenhams Ireland Voucher from voucher-code.ie and get your benefit at debenhams.ie. Never miss again a Debenhams Ireland voucher or sale offer! Debenhams has 153 stores across the UK and Ireland and in total 240 stores in 28 countries all over the world. 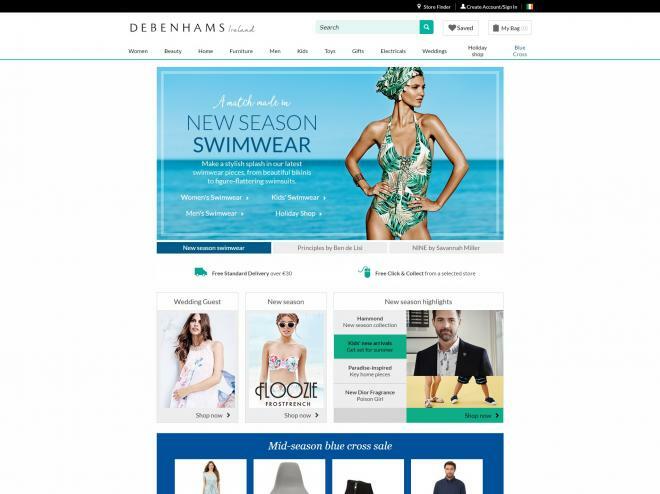 A fully transactional website at debenhams.ie , reflecting Debenhams' commitment to offering their customers greater value, a wider choice and excellent service across every area in which they trade. Debenhams is the second largest department store chain in the UK with over 17% of total UK department store sales and 153 stores. Debenhams ireland has a strong presence in all shopping categories, including womenswear, lingerie, beauty, menswear, kids, electrical, home & furniture and gifts. They offer a unique mix of exclusive own brands, including Designers at Debenhams, and third-party brands. Please enter a Debenhams ireland voucher code directly in the 'Do you have a promotional code?' 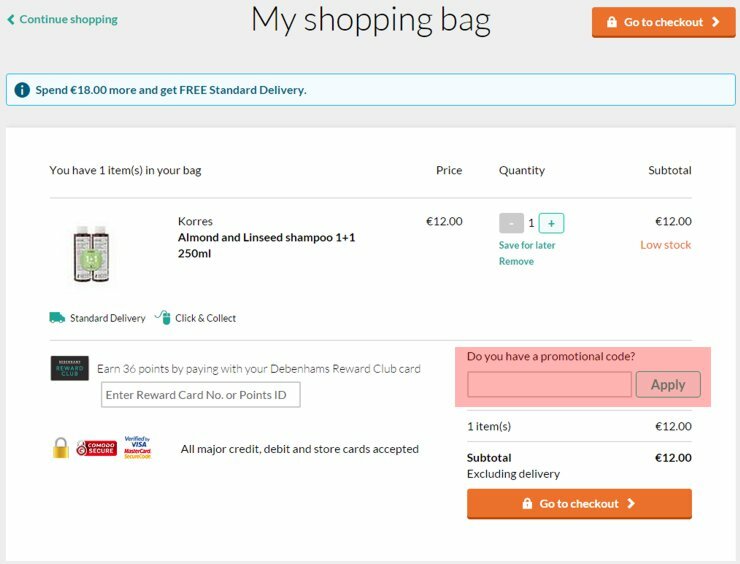 box on the shopping bag page and activate encashment by hitting the "Apply" Button. Discounts will be applied only if the code is valid and meets the minimum value required. No code needed, applied automatically at checkout.